Insurance and reinsurance firm Hiscox said today that it would increase its stamp capacity for its Lloyd’s of London syndicate by around 45%, as it predicts a “widespread market turn” following the major industry losses from recent catastrophe events. Hiscox forecasts deploying £1.6 billion (US $2.11bn) of premium capacity through its Syndicate 33 at Lloyd’s in 2018, an increase of £450 million or 40%. It’s a clear sign that insurers and reinsurers are prepping themselves for improved market conditions and pricing, desiring to take advantage of any higher rates in property insurance and catastrophe reinsurance lines. Hiscox forecasts the majority of its growth as being in those two lines as well, forecasting that £437 million of reinsurance premiums will be underwritten in 2018, up £120 million from its 2017 forecast. While in property insurance the insurer foresees even stronger growth opportunities in 2018, forecasting underwriting almost £540 million of premiums in 2018, up from its £288 million forecast from the 2017 year of account. The stamp capacity increase is subject to approval at Lloyd’s. Hiscox recently announced its combined net loss from hurricane Harvey and hurricane Irma as approximately $225 million, so the firm will be hoping to recoup some of this through taking opportunities for better rates and terms in the coming year. 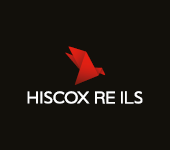 Given this desire to increase capacity for property insurance and reinsurance lines, it’s to be expected that the Hiscox Re & ILS strategies will also be looking to increase the third-party capital available to it in time for the key January renewals. With key players in the market forecasting that the turn in the market will be “widespread” it is going to be interesting to see just how long that lasts, or whether the increase in capacity will only end up dampening rates by the middle of next year.